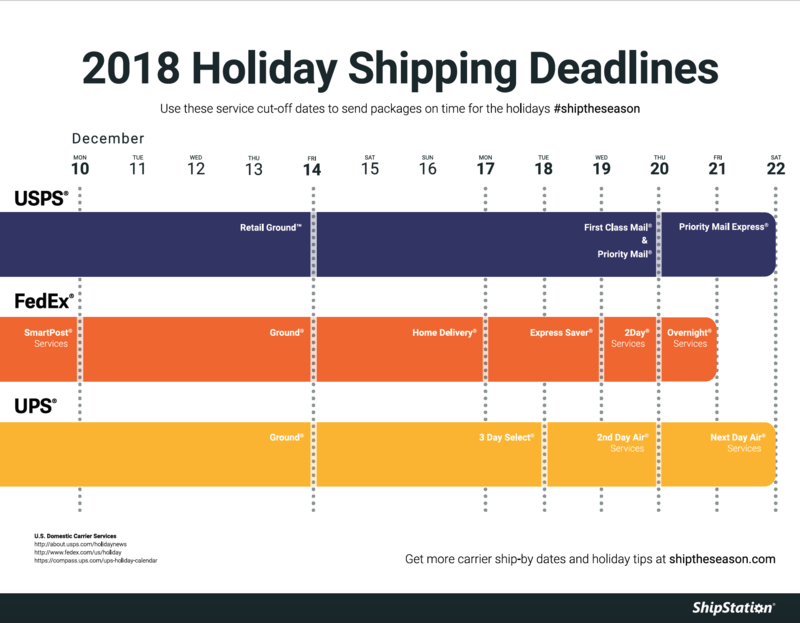 To avoid your customers having to blast you on social media, take a quick look below to find out the 2018 holiday shipping deadlines. Or, skip down to find out how to use the holiday order deadline as a sales opportunity, and how to prep your website before the cutoff dates arrive. Without further ado, here are all the dates you need to know to make sure your customers receive their orders on time this holiday season. View FedEx's 2018 service guide: See how your store can plan ahead for the rest of the year, and download the year-end holiday schedule all in one place. Check out USPS' interactive holiday workshop: Get detailed information on shipping deadlines and tips on everything from shipping supplies to international delivery. Explore UPS' holiday shipping resources: Download their 2018 year-end holiday schedule for important shipping dates, holiday service guarantees, and last days to ship. For any companies shipping to or within Canada, make sure you're up to date on the Canada Post CUPW strike that's currently causing massive delays in shipping. 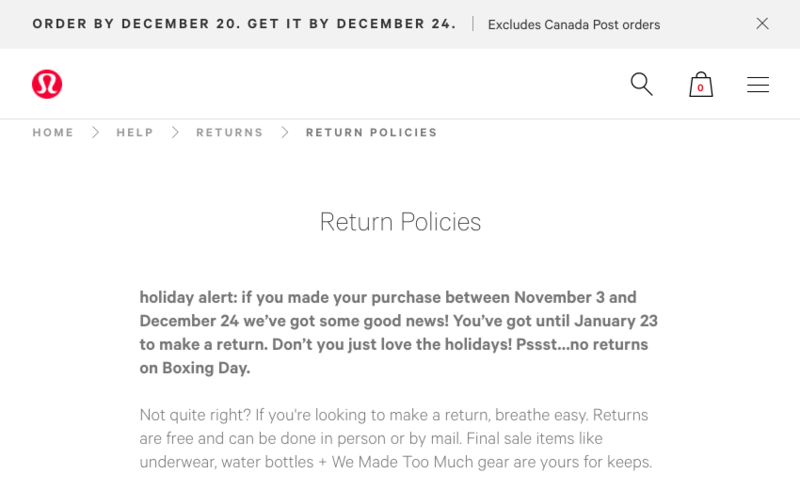 To make sure your customers are aware, include a warning to all your Canadian shoppers, letting them know they may see a delay in their shipments. You can view Canada Post's full list of holiday shipping deadlines here. While it's great for you as a store owner to know these timelines so your customers aren't left empty handed, you can go one step further and use order deadlines as a unique opportunity to boost sales. Offer and promote free shipping. 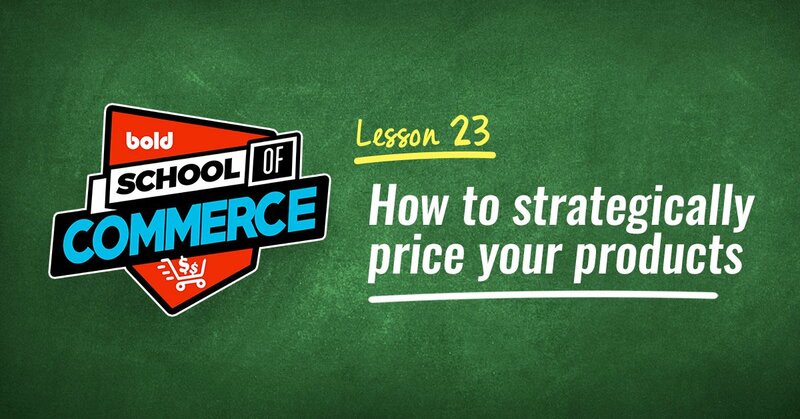 Free shipping is one of the biggest incentives you can offer to get customers to add more to their cart. To increase those average order values, offer free shipping to your customers the week leading up to the shipping deadline like Indigo did below. Give your customers free gift wrapping. Customers aren't only purchasing gifts for themselves, but shipping them directly to loved ones during the holiday season as well. 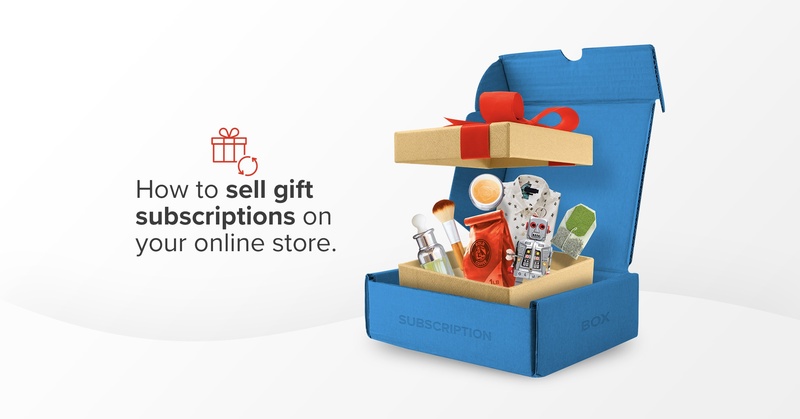 A simple idea to increase your sales and lower abandoned carts is to offer/promote free gift wrapping on your store using this step-by-step guide. Present upsells throughout the checkout process. Upsells are an amazing way to increase your store's average order value year round, and with a few tweaks to your messaging, you can let your customers know about the cutoff date and upsell some of your most popular items at the same time. Try something like, "There's only 2 more days to get your gifts before Christmas, so we did your shopping for you! 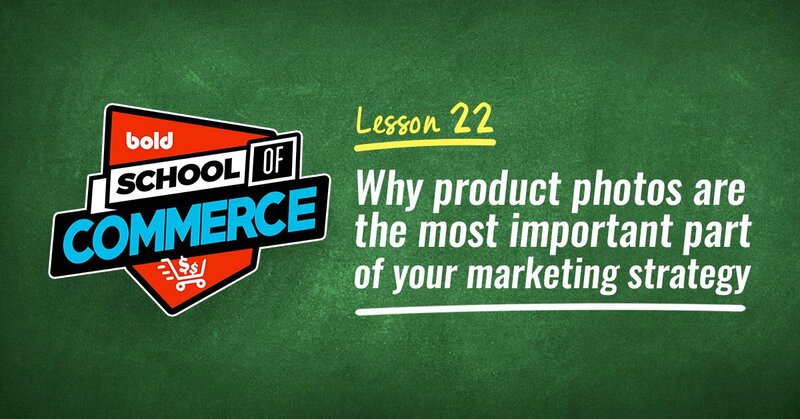 Here's a *insert product here* that anyone on your list would love." Create a quick email campaign: Send an email blast to your store's contact list to let them know what your deadlines are, and make sure to let them know about any last minute holiday sales you're running as well! Try offering a percentage off their order if they purchase before the cutoff to give them a little nudge towards checking out. While you should make your holiday mailing dates visible on your store, that might not provide all the details a shopper needs to know before placing their order. How fast you ship your orders. Be sure to not only mention how fast orders will ship out (same day, 24 hours, 48 hours, etc. ), but what time of day as well (E.g. orders placed before noon will be shipped same day). Shipping methods. Do you offer express or overnight shipping? And if so, do you ship internationally, and at what cost? Your cutoff dates. Use the above information to clearly outline shipping dates that you'll guarantee your customers will receive their packages by. Return policies. Cover the big stuff, like if your products can be returned, how long a customer has to return, do they have to pay to send it back, and does the returns period start after a customer receives their package, or the date you ship it out. Bonus points when you combine it with banner displaying the order cutoff date like Lululemon did below. Putting these details in place will give potential customers all the information they need to make a purchase with confidence, cutting down on the number of questions you receive during the already busy holiday season. 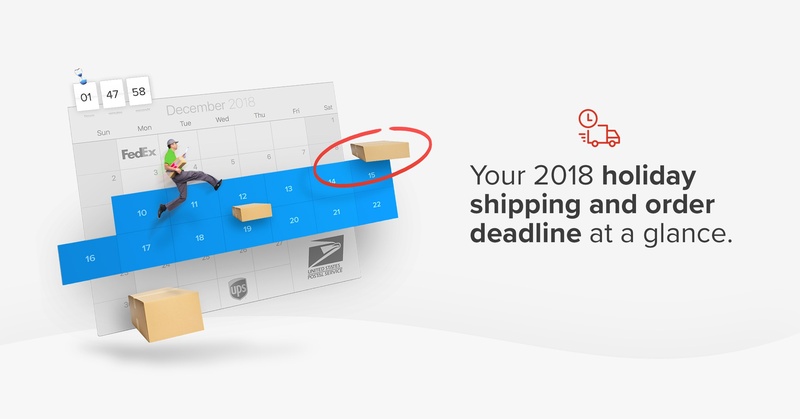 Now that your store is set up, you can focus on communicating each shipping deadline as they approach. 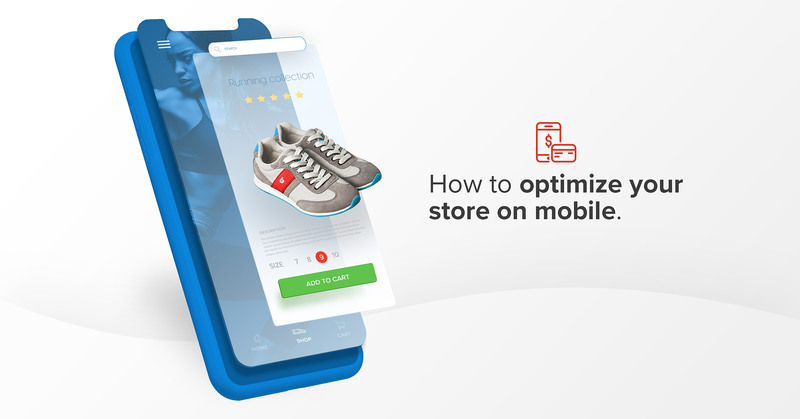 Below are some last-minute ideas you can use on your store within the next few minutes to make sure your customers have all the information they need. Update your homepage banner with your store's deadlines. Some examples include, "LAST CHANCE: Order before *insert date here* for guaranteed holiday delivery." 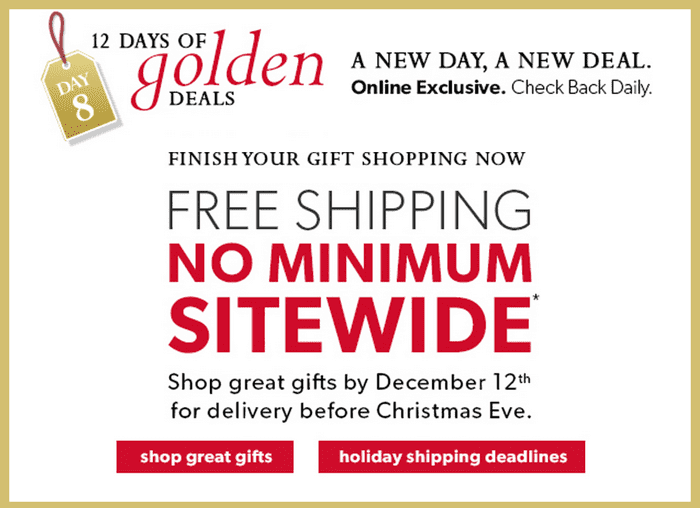 You could also Include a free shipping offer on your banner like we talked about above, and include a message similar to this one, "Order before *insert date here* to get guaranteed holiday delivery and receive free shipping on all orders." 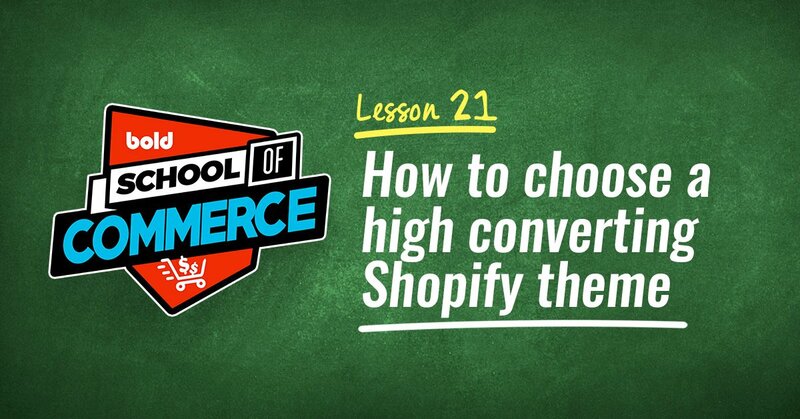 Another way to motivate your customers to buy is to use a high-converting countdown timer. There’s nothing better than a clock ticking down to convince someone to pull the trigger and complete their purchase, and it’s so easy to set up! Use a pop-up to make sure that everyone who lands on your store sees the cutoff dates. 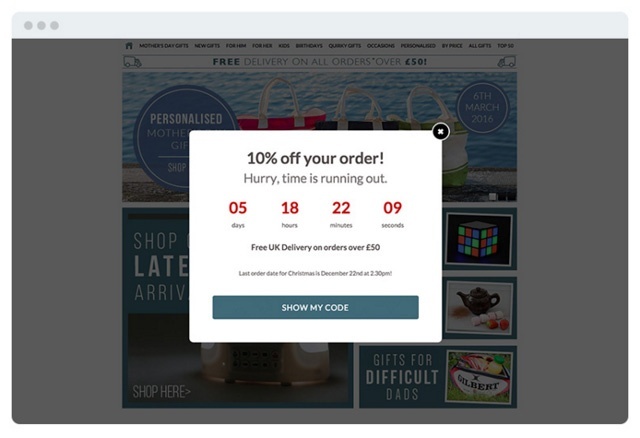 We love that The Present Finder used their pop-up to combine their message with not only a countdown timer, but a discount as well! (See below). The countdown is on! Log into your store right now, make sure your policies are up to date, and set up a quick promotion to run for the next few days. It's a quick and easy way to keep the steam after your Black Friday sales. 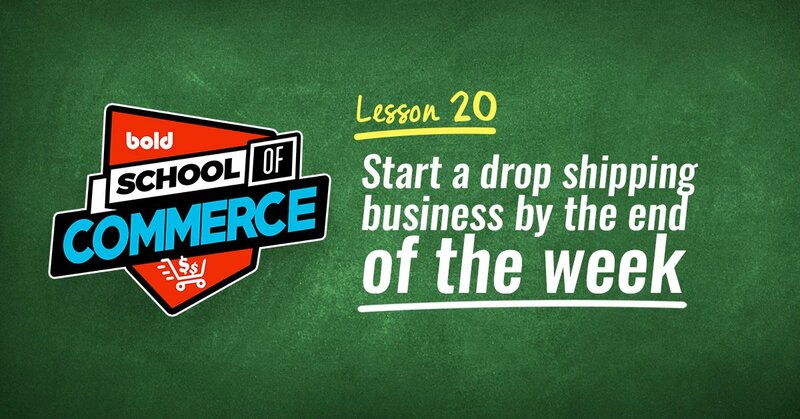 Want to know more about shipping for your eCommerce store? 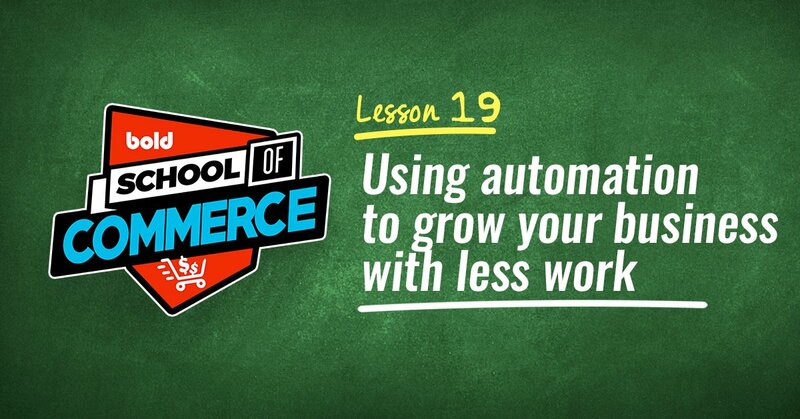 Take a look at this complete guide to eCommerce shipping and fulfillment, or check out these awesome examples on how to use shipping as a marketing tool on your online store. Make sure to post a link to your store in the comment section below to show the world what you're doing for the holidays!